What happens when the nurse gets sick? 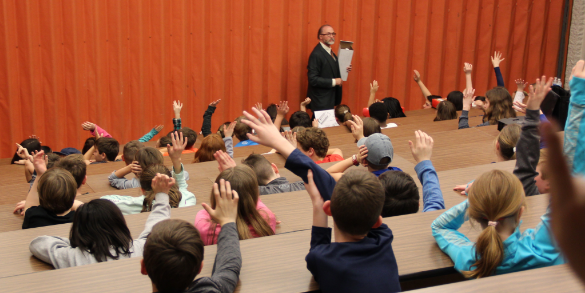 Inventionland Founder and CEO Mr. George Davison recently spoke to a group of 120 local fifth-grade elementary school students to create a solution to notifying the school if the nurse is not in her office. The eager students first learned about Inventionland and the start-to-finish process of creating a practical solution. The school will undergo a remodeling effort this summer, and the fifth-grade class was tasked with creating a system that would let everyone in the school know when the nurse is unavailable. That’s a big and important project ! But the chipper young students were more than up for it. Their enthusiasm and willingness to jump right into it really shined through. “I was shocked by how many questions they had !” said Mr. Davison. 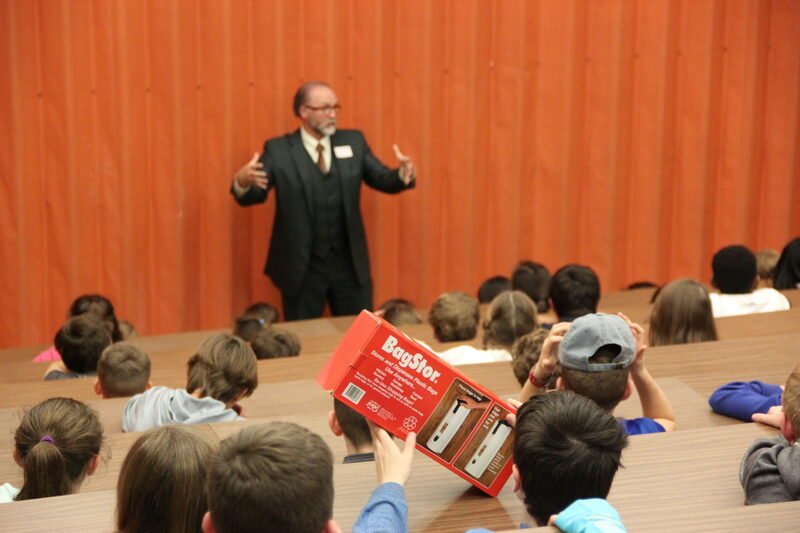 To inspire the creativity within the students, Mr. Davison brought along the BagStor, product samples, and tech drawings. Students got a hands-on look at the inventing process – just like students in our Inventionland Innovation Course get to do. They even had some fun suggestions to add a little flair, such as sparkles and polka dots. Great ideas ! The Inventionland Innovation Course is a wonderful way to inspire our youngsters to become the next generation of innovators. Stay tuned for more updates on the Innovation Course and how it will be incorporated into curriculums for younger students.